Thoughts of going to a dental clinic usually evoke frightening dentistry images involving weird dental instruments that make drilling sounds. Is it any wonder why most of us keep putting off our annual dental check-up? By the time you need to schedule a last minute appointment with one of the 20,000 practicing dentists in Canada, making the right choice seems as overwhelming as a nagging toothache. Get to know your dentist: The best way to find a new dentist in Toronto ON is to get to know them personally before you require dental care – we are talking about someone who spends a lot of time poking around your mouth with metal instruments, after all. Look for dentists that make you feel comfortable. Important questions to ask when considering dentists are; dental office hours, after hours availability, what your dental plan covers and if emergency dental services are available on a moment’s notice. Online reviews and credentials: Compare reviews from online forums where people discuss dental practice. Once you’ve settled on a list of potential dentists or dental clinics that are right for you, compare their medical credentials with the information available at the Canadian Dental Association. What kind of specialist do you need? Make a list of the dental services you require to narrow your search. 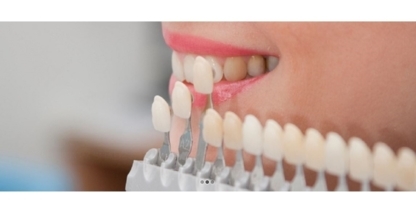 Are you looking for dental clinics that specialise in dental implants, cosmetic dentistry or dental surgery? 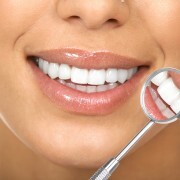 In other words, are you looking for a whiter smile, a simple cavity filling or a root canal treatment? Saving on dental costs: Most dental clinics and dentists in Canada can charge whatever they want for their dental services. The best way around that is to ask your potential dentists to give you a quote so you can compare. You’ll find lower prices for dental care in rural or suburban areas compared to dental offices located in a busy downtown financial district, where most people have time constraints and are looking for convenience rather than a good deal on their next teeth cleaning. What causes a white tongue and is there a cure for it? How safe are amalgam dental fillings?